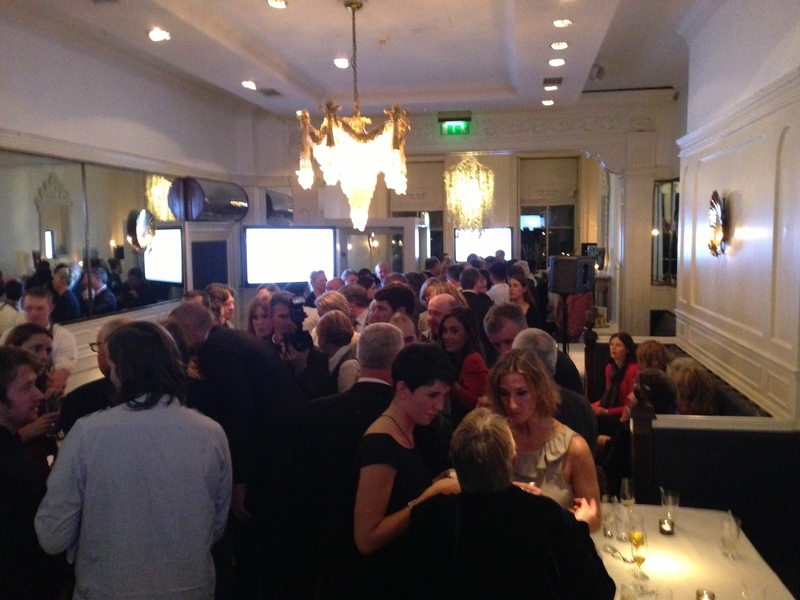 So on Wednesday night we had the launch of Let’s Go Disco, with a party at the Cliff Townhouse on St Stephen’s Green in Dublin. Excuse me in advance, but there will quite a few superlatives in this blog post – I don’t see a way around them, and if you can’t express pride at a book launch for a book your very proud of, then when can you? Around 130 people squashed into the dining room of the Townhouse, quaffed saffron-flavoured prosecco, Hendricks gin and tonics made with juniper-flavoured ice cubes and canapés drawn from the recipes in the book. Three large plasma screens showed off high definition pictures from the book, as well as the video clip Shane O’Neill made especially for the occasion, and the book was officially launched by guest of honour Derek Bulmer. Adriaan Bartels, general manager of the Cliffhouse Hotel in Ardmore gave the introduction, Martijn gave a touching speech about the project and the importance of the team that lie at the heart of the House Restaurant and expressed sadness that James Rehill couldn’t be there to enjoy the evening with his colleagues. The speeches were then finished off by the legendary Derek Bulmer. For people who don’t know who Derek is, he was the editor in chief of the Michelin Guide for the UK and Ireland for twelve years and worked as an inspector with the Guide for over 30 years. He’s the guy who decided on giving – and taking away – the much coveted stars that mean so much for the chefs and restaurants that have them. Think of any of the big names chefs in the UK or Ireland – the Hestons and Gordons of this world – he’s the guy who had the final say on awarding them their stars. Michelin is an intriguing institution, and at a time when there seems to be a new restaurant awards taking place every month, the Guide still has a special place. I got a chance to chat to Derek for quite a while, and I could easily see how he was able to maintain his anonymity for so long – he’s a delightful, charming and totally unprepossessing guy. I would never have guessed who he was. 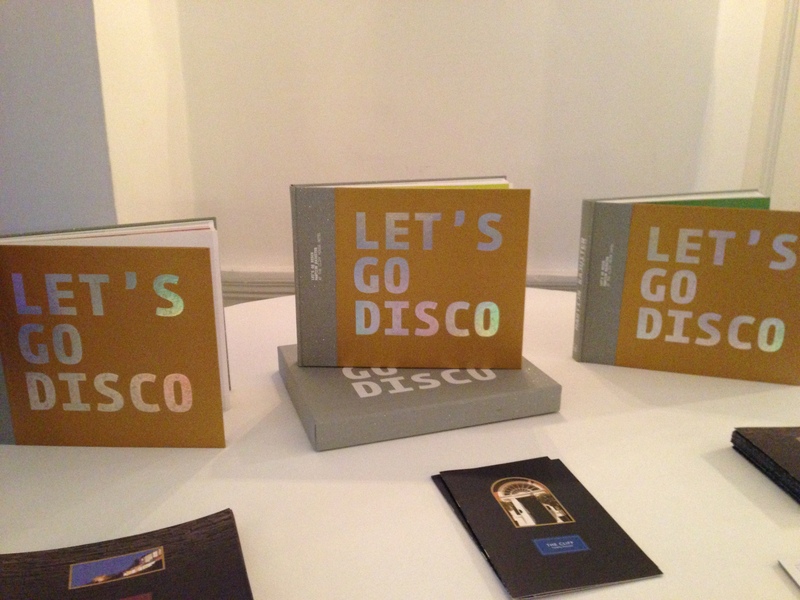 We are very grateful that Derek agreed to write the foreword to Let’s Go Disco, as it’s the first time he’s done that. Since he retired from the Guide two years ago, he’s been free to talk about his experiences and give interviews but amazingly he said nobody else had asked him to write a foreword. In his speech he talked at length about his experiences in Ireland, as he came here three times a year for twenty years, racking up significant mileage driving around Ireland and dining incognito. He maintains a fondness for this country and had some very interesting things to say. So that’s it, the book has been launched and is available to buy. I’ve updated the page on my website dedicated to the book with some photos and details on where it can be bought – for the record you can get it at receiption at the Townhouse in Dublin and the Cliffhouse in Ardmore or from the Cliffhouse website here. Some preview copies of the book went out in digital form a few weeks ago so there will probably be some reviews or comment in the press about it. I’ll post these up as I find them and try to maintain a web presence for the book going forward. On Twitter, the hashtag #letsgodisco has seen a fair bit of activity in the last few days so if you’re interested, you can go check that out. Otherwise, please buy a copy and enjoy it.